- You could use the remote control to finish all the above steps. 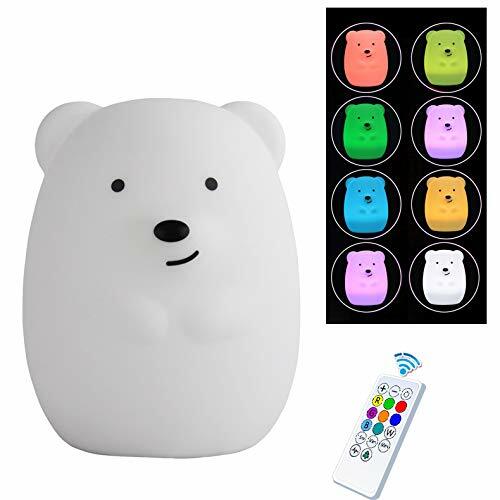 Additionally, the remote control adds "Brightness Up/Down" and "Timing(30/60/90Mins)" Functions. Choose between 3 different modes and 9 vibrant colors, Silicone part can be disattached and is machine washable. High quality none toxic soft washable silicone + ABS material safe for babies and toddlers. No chemical scent. No sharp parts and can be put into bed. Portable design and handheld size for Children. Bring on a camping trip or keep it on the charger. The colors are fun! It collapses when squeezed then pops back to shape. No worry about baby breaking it or hurting baby from momentary contact.It's soft, doesn't get hot. If you have any questions about this product by SOFT&COM, contact us by completing and submitting the form below. If you are looking for a specif part number, please include it with your message.